I was at the grocery store last week buying butternut squash, and the checkout clerk held up my squash, squished up her nose in curiosity and asked, “What do you do with these? I see people buying them, but how do you eat them?” I asked her if she had ever had butternut squash? She said, no she was Italian and was familiar with zucchini, but not butternut squash. I was so excited to share with her my favorite way to prepare it…..oven roasted. Simple is often extraordinary! It is delicious, caramelized, sweet and nutty when oven roasted. I so wanted to invite her into my kitchen and give her a demonstration so she could taste it for herself! So, that has motivated me to do a series of simple vegetable dishes that are delicious and nourishing. Butternut squash, referred to sometimes as Butternut Pumpkin in Australia and New Zealand, is full of health benefits including a good amount of beta-carotene which our bodies convert to Vitamin A, Potassium for our bone health, Vitamin C, Calcium, Magnesium, Vitamin B6, Fiber and some good Carbohydrates (5% in a cup) in addition to Carotenoids, which are naturally occurring pigments thought to be preventative against cancer and macular degeneration. Here is a simple and delicious way to prepare it! Preheat your oven to 400º degrees. Line a rimmed baking sheet with parchment paper. 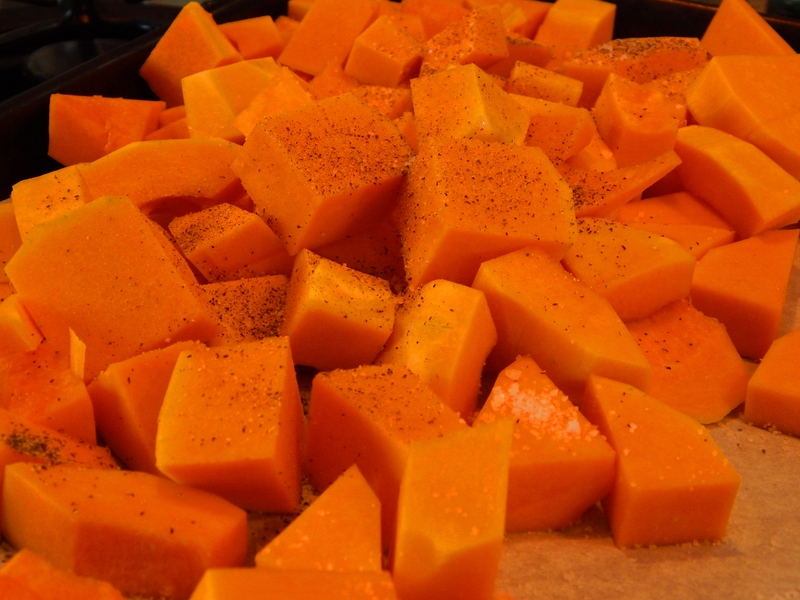 Cube the Squash into 2 inch cubes and place on your rimmed baking sheet. Sprinkle it with the salt and pepper. Melt the coconut oil, and pour it over the cubed squash. Toss with your hands until well coated. 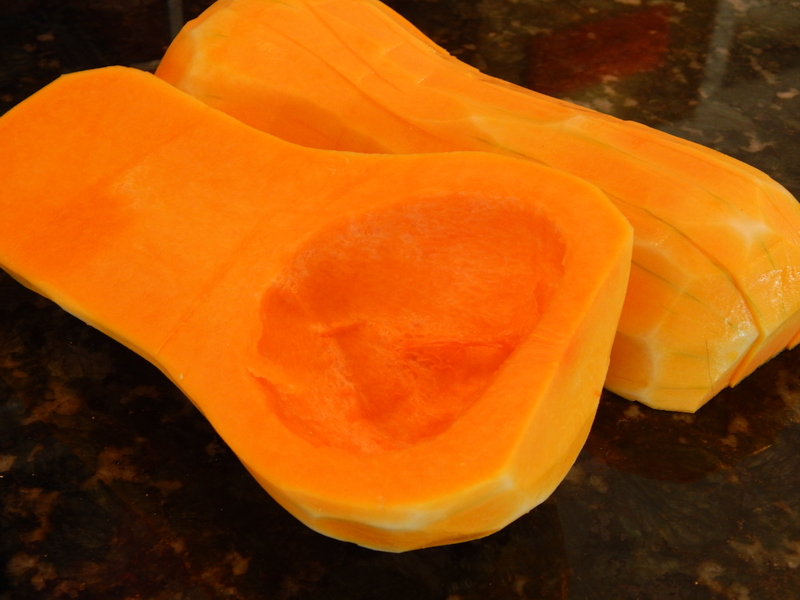 Spread the squash out in a single layer on the cookie sheet, and place it in the oven. Roast a total of 50 minutes to an hour until it is starting to caramelize, tossing with a spatula every twenty minutes. There you have it! Utterly delicious, and you are Eating Your Nutrients in a very yummy fashion! *If you are eating Low FodMap a serving is 1/4 Cup at a time. Thank you! So yummy and so simple! 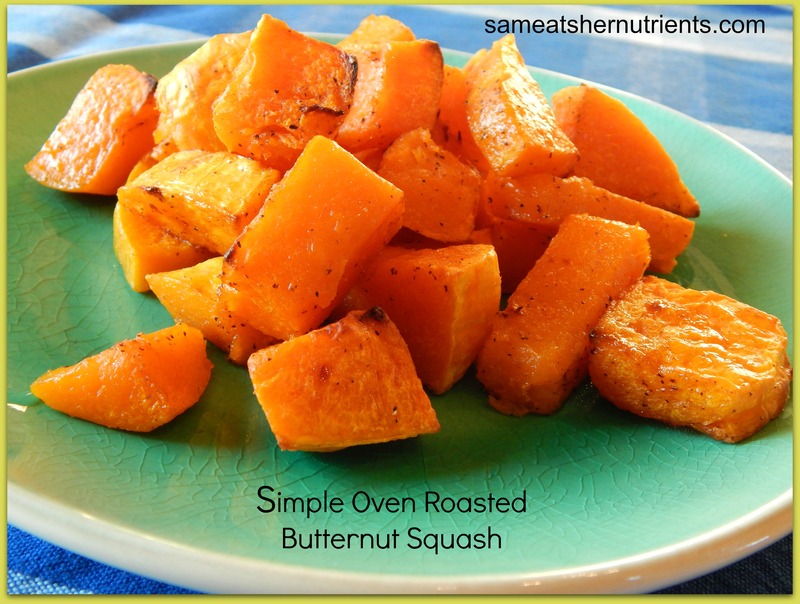 Butternut squash is one of my favourite foods and this looks so tasty! Thanks! I love it cooked this way! It is such a sweet vegetable to satisfy sugar cravings and get in some great nutrition. 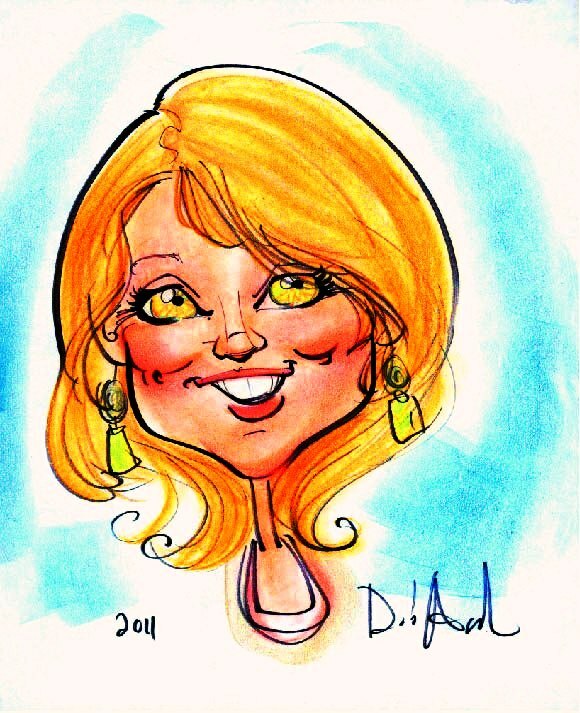 Glad you stopped by the blog! love me some squash! I’d love for you to share this post at my Tuesday link up today! Ok, great! I just added it. Thank you!